99% of votes in: Hotovely in 26th spot, likely out as polls give Likud no more than 24 MKs. Feiglin is in unrealistic 36th spot. Two of Likud's leading advocates for increased Jewish presence on the Temple Mount – Moshe Feiglin and Tzipi Hotovely – appear to be on their way out of the Knesset, with 99% of the votes in the party primaries counted. Meanwhile, the number two spot after the prime minister was captured by Minister Gilad Erdan. Since the results of the count began to be known, Deputy Minister Hotovely had been vying with former MK Avi Dichter for the 20th spot on the list, which is the last one that is considered realistic, out of the spots that are currently being decided. Spots 21 to 25 are reserved for people who will represent districts or sectors, or who will be appointed by the prime minister. She was leading over Dichter in the initial hours but Dichter later took the lead and has maintained it, with the counting nearly over. Hotovely will be in the 26th spot – at a time when polls predicts no more than 24 seats for the ruling party. Hotovely is the only religious female MK on Likud's roster. In any case, the Likud's “leading woman” is shaping up to be Miri Regev – who is also an advocate for Jewish rights on the Temple Mount. Regev is in the fifth spot, after Prime Minister Binyamin Netanyahu, Knesset Speaker Yuli Edelstein, and ministers Gilad Erdan and Yisrael Katz. 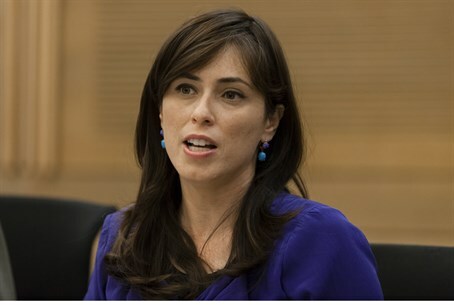 The former leading woman in the party, Limor Livnat, has bowed out of politics. Gila Gamliel, who is currently Deputy Minister in the Prime Minister's Office, is in the 10th spot. Meanwhile, Deputy Knesset Speaker Moshe Feiglin is out of the realistic zone for election to the 20th Knesset. Former MK Ayoub Kara has outflanked him and pushed him to the 36th spot. Kara, a Druze, is a very strong Israeli nationalist and a longtime ally of Feiglin's. He has called Jihad and Hamas terrorists "descendants of the Devil" and recently said that Avigdor Liberman is "really a leftist." Feiglin's camp has strongly hinted the primaries were rigged in order to push him out of the Knesset. Feiglin has been spearheading the struggle for allowing Jewish prayer in the Temple Mount, against the wishes of Netanyahu, who sees the struggle as recklessly endangering stability in the Middle East.